Yesterday Ryan Reynolds released a gif of Deadpool unrolling a Home Alone style battle plan. An image of that plan was also released on DeviantArt. 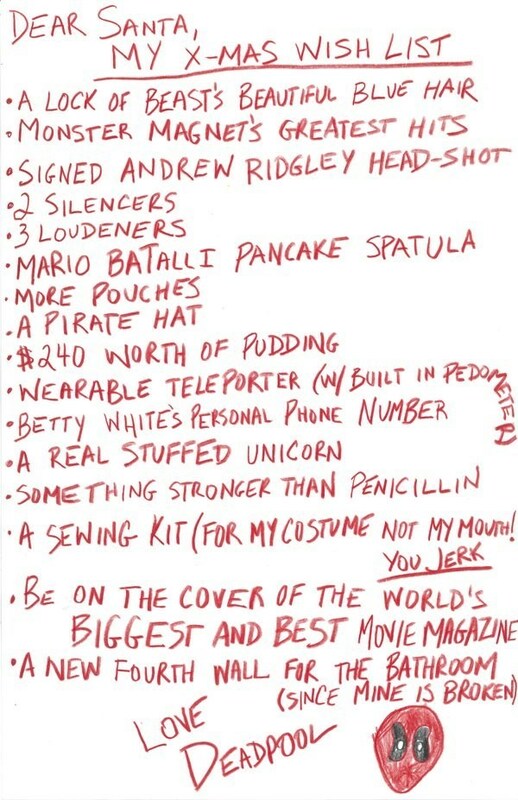 Today, Empire Magazine gave us a peak and Deadpool's Christmas wish list.